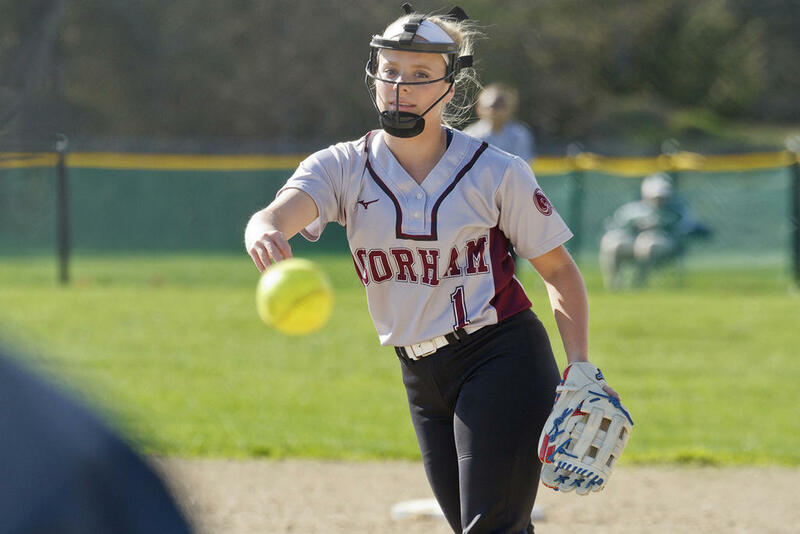 STANDISH—Bonny Eagle hung tight with visiting Gorham through four innings on Monday afternoon, but the Rams’ bats woke up in the late going, and looked their best in the very last inning. 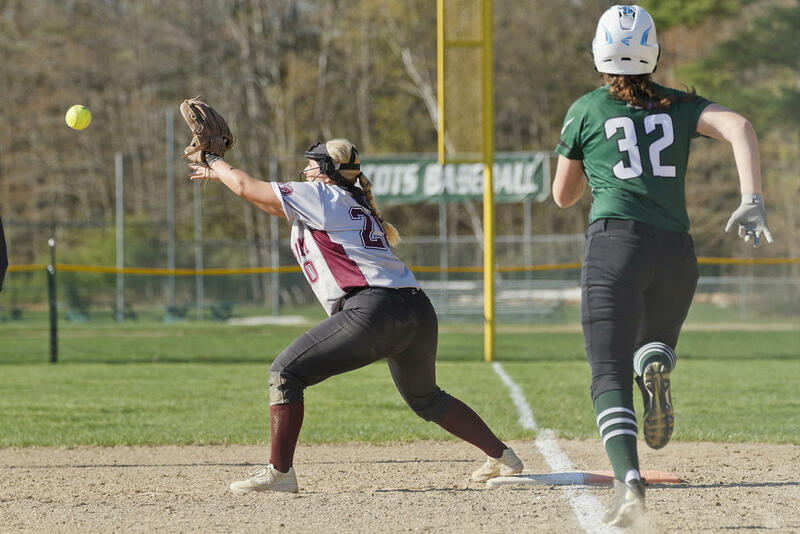 Gorham tallied four in the seventh – Grace McGouldrick, Kiana Tracey, Sarah Juskiewicz and Morgan Roast all scored – to top the Scots 6-1 in the end. “It was like, the kettle was going to blow up, but when was it going to happen, and on which side?” Bonny Eagle head coach Jan Corliss said of the contest, chuckling. 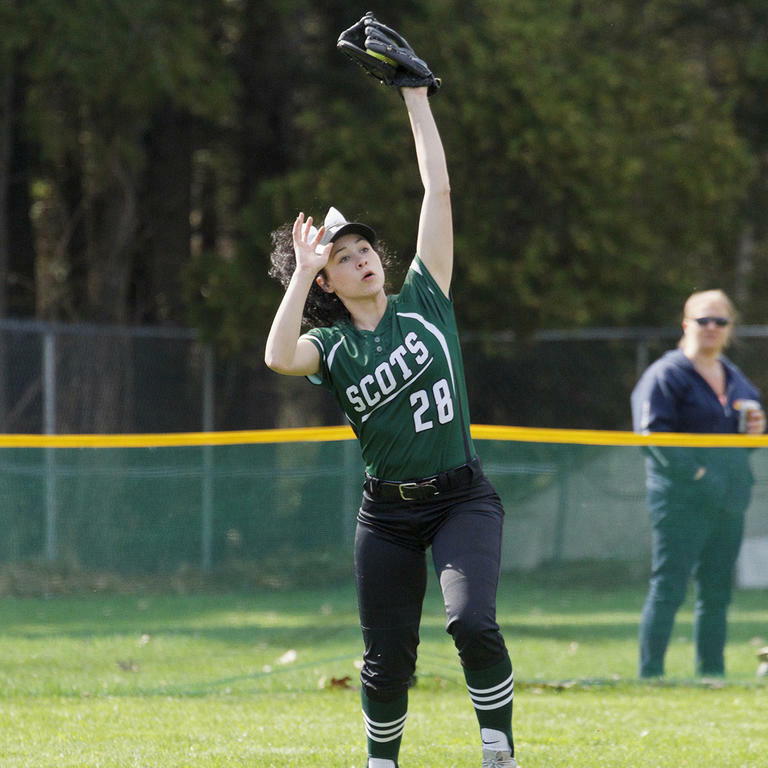 Both defenses played excellently throughout the game; Bonny Eagle’s got their first chance to shine during Gorham’s opening ups as pitcher Morgan Doughty threw to contact: Doughty lured Rams leadoff hitter Tatyanna Biamby into a 4-3 groundout; Biamby’s follow-up, Kali Perry, into an infield flyout to first; and Perry’s follow-up, Grace McGouldrick, into a flyout to centerfield. 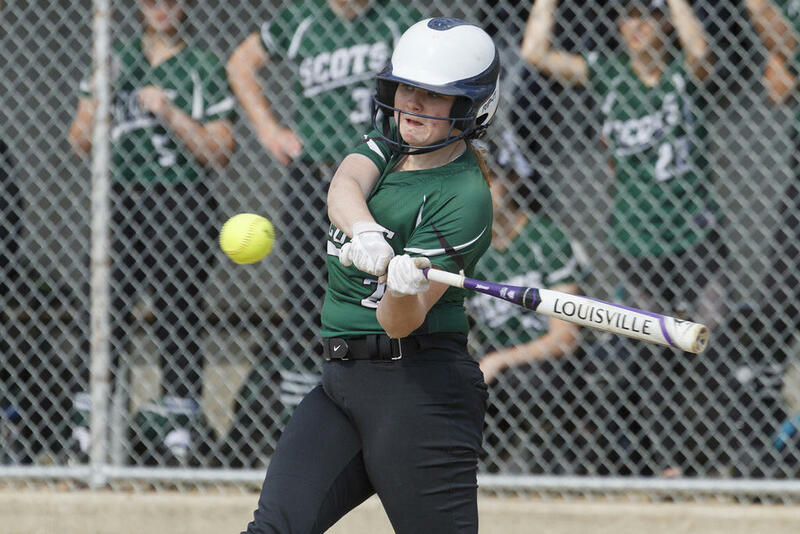 Mackenzie Emery anchored the Scots’ defense at first, while Hannah Kaspareen guarded second and Emma Steinbuchel center. 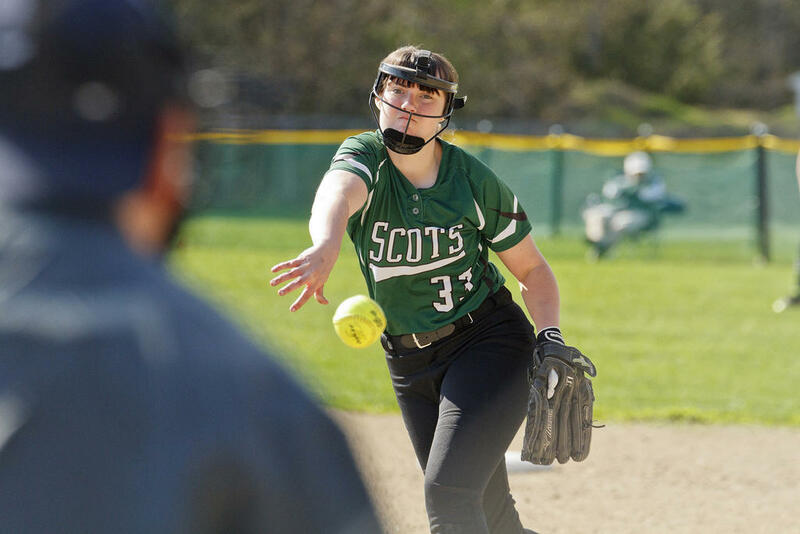 For her part, McGouldrick, on the mound for Gorham, K-ed Scots Sarah Champagne and Sydney Gillingham in the bottom of the inning. McGouldrick gave up a line drive to Emery – but it was a drive straight to first, where Shay Harris snatched it from midair. “Coming off a busy week, our defense has definitely started to click,” Whipkey said. “Girls getting more comfortable in positions they’re playing. Sometimes that takes a few games into the season, especially when you practice indoors for a majority of April. The second unfolded scorelessly as well; the third, however, saw both sides get on the board. Roast tallied first: She walked onto base, advanced on a Michelle Rowe sac bunt, advanced again on a Lydia Drew sac bunt and rounded to home on a Biamby single grounder into right. 1-0, Gorham. Scot Ari Mejias, however, was not about to go quietly into defeat, and instead responded ferociously: Mejias connected with McGouldrick’s first pitch, during Bonny Eagle’s next ups, sending the ball sailing, sailing, sailing, gone – over the rightfield fence, a solo homer for 1-1. Neither team managed to add anything in the fourth, though Bonny Eagle did turn in a fantastic defensive maneuver. 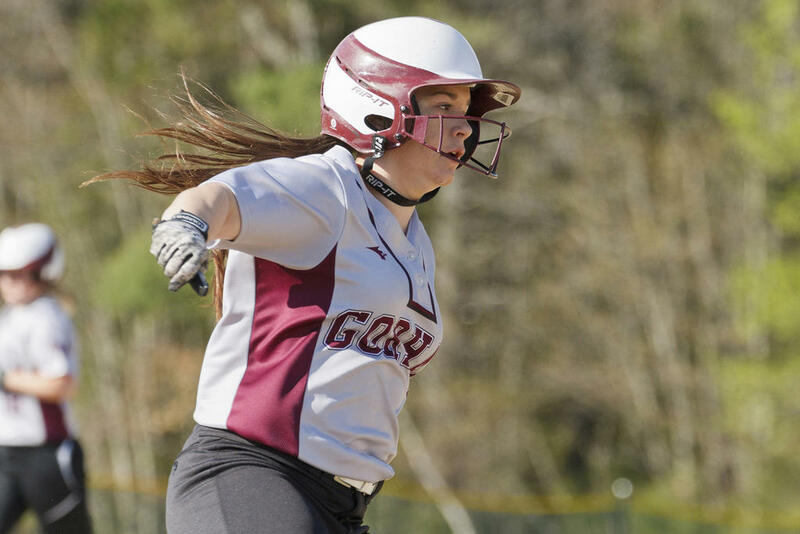 After Harris logged a triple to kick off the top of the inning for Gorham, the Scots assembled a brilliant double-play on Emma Shields’s at-bat. Shields grounded to short – a routine play for Gillingham, at that position, and Emery – but then Emery had the presence of mind to turn and whip the ball home, where catcher Champagne tagged Harris out. No such luck, though, for the Scots in the top of the fifth. Biamby bunted at the start of the stretch, reaching first on one of Bonny Eagle’s few fielding errors, a 2-3 throw by Champagne that sailed just a hair high of Emery. Perry then pushed Biamby to second on a sac; McGouldrick brought her home again with a ground-rule double over the distant centerfield fence. Also of defensive note: The Scots escaped a bases-loaded situation in the fourth, and Steinbuchel turned in a fantastic lunging catch in center late in the battle. In fact, Steinbuchel caught that same shot twice: The ball bounced from her glove when she hit the ground, but she retrieved it before it could touch the earth. Ultimately, the 2-1 run would be all the Rams needed to break the Scots’ backs. 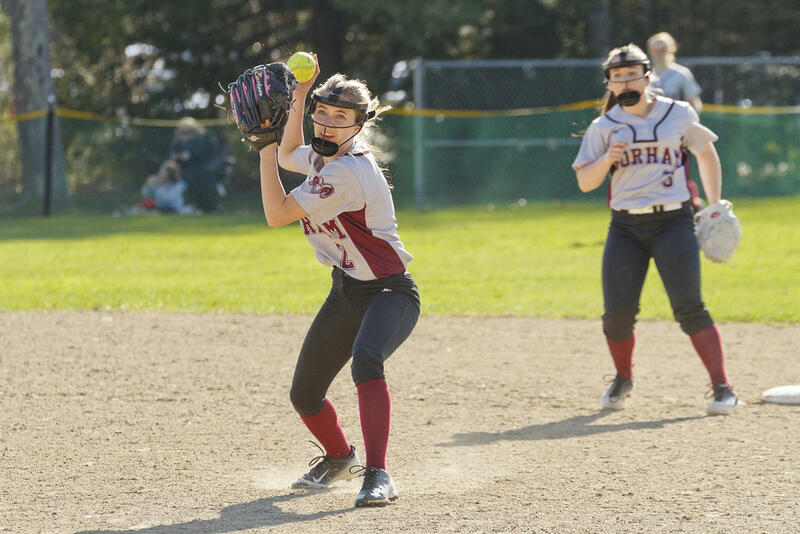 Still, Gorham added four more in the seventh – which, again, is when they really found their offensive groove. McGouldrick began the push, grounding up the middle, where the ball slipped past Doughty in a flukey moment that goes on the books as an error. McGouldrick then stole second during Tracy’s turn at the plate, and scored when Tracey smashed a double to deep center. Juskiewicz and Roast followed Tracy’s double with doubles of their own: Juskiewicz’s brought Tracey home and Roast’s brought Juskiewicz home, and the Rams had a full head of steam. Roast moved to third on a Drew drive into right and scored on a Biamby drive, also into right, capping Gorham’s W.
Bonny Eagle, now 3-5, currently sit in seventh in A South. Gorham, now 6-3, occupy third. The Scots travel to MGA/Falmouth on Wednesday the 9th; the Rams host Biddeford that same day. Lydia Drew unwinds into a throw toward first. Ariana Mejias snags a fly ball for the Scots. Sarah Champagne takes a cut at a ball for Bonny Eagle. Bonny Eagler Morgan Doughty fires a ball toward the plate from the mound. Kali Perry inches off first while a teammate battles at the plate. Tatyanna Biamby scoots off third, hoping for home. 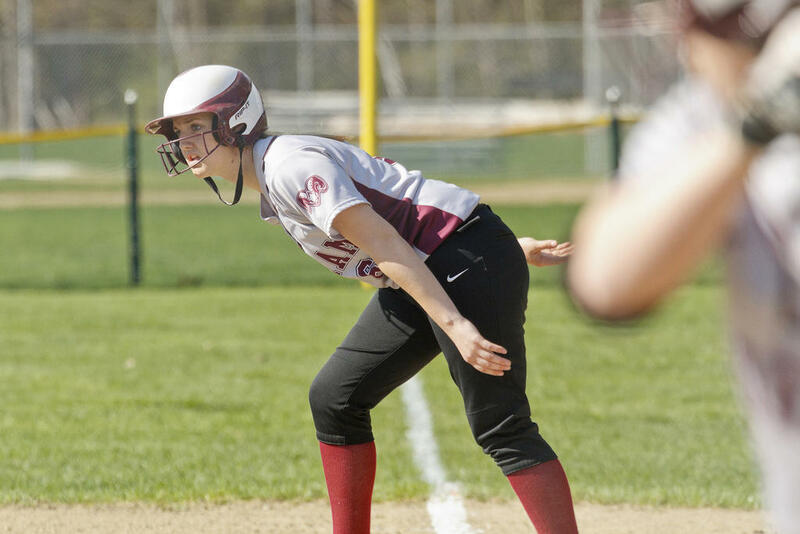 Gorham pitcher Grace McGouldrick hurls a ball toward home. Morgan Roast arrives at third for the Rams. 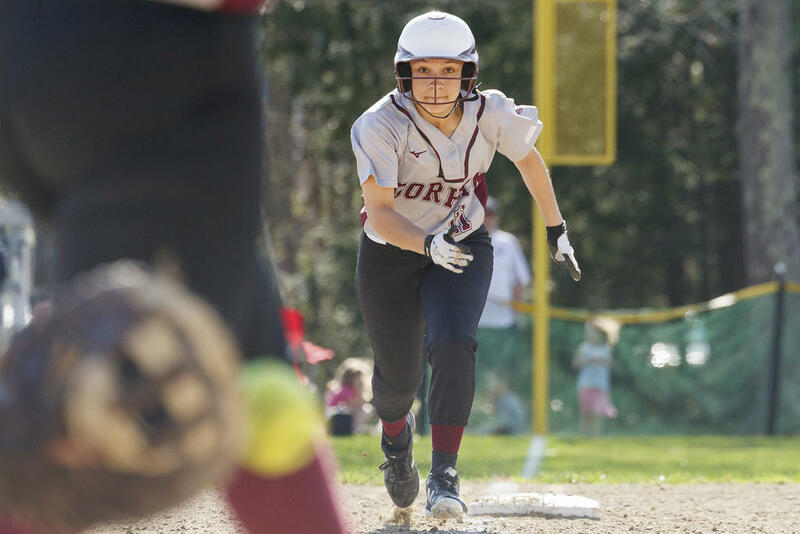 Gorham first baseman Shay Harris leans out to grab an incoming throw; Bonny Eagler Emma Steinbuchel drives for the base.